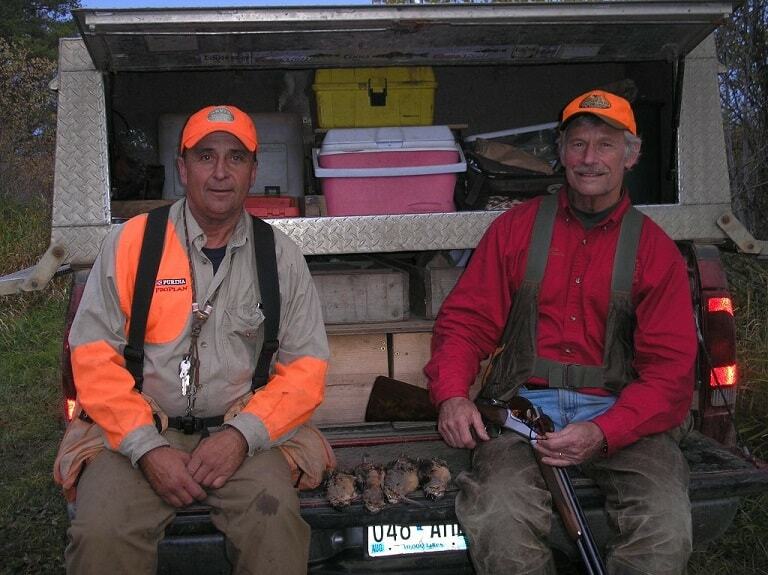 In 1984, Steve Grossman began Little Moran Hunt Club on his family farm near Staples, Minnesota, which was homesteaded by his great grandfather in 1902. It began as a pheasant club and dog training kennel. Burnt Creek Setters became part of the Little Moran legacy in 1985, when Steve became trainer for Burnt Creek while working out of Little Moran. The setters did a great job on native ruffed grouse and woodcock, of which Steve began guiding a few of the hunt club members with great success. It was from that point on that the ruffed grouse and woodcock hunts would become the corner stone of Little Moran and the addition of Double Gun Bird Hunts, now known as The Grouse Lodge. With the success of the setters, Steve became a consultant for Purina and the Pro Plan Brand, overseeing cover dog trials, horseback trials, conducting dog training seminars and demonstrations nationwide, on behalf of Purina. The highlights were numerous seminars and demonstrations at the Grand National Grouse and Woodcock Hunt and the Grand National Quail Hunt, along with numerous outdoor shows and major articles highlighting the setters and Double Gun Bird Hunts. 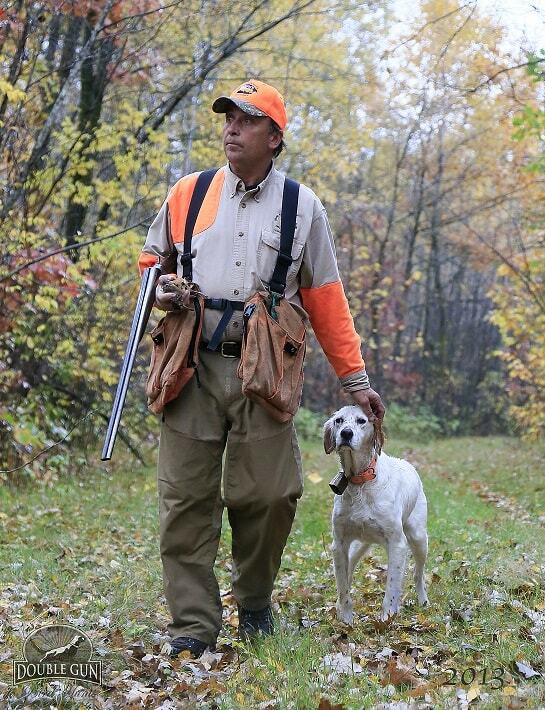 Steve's reputation for providing classic hunts where dog work and a time-honored dedication of the hunts has become Steve's marquis. This respect and admiration for the game and dogs are first and foremost. Hospitality and service are equally important to Steve and the entire staff. These hunts are truly in a class by themselves. The unique style of how hunts are conducted and the precedent set by Steve and the staff led to the opportunity of becoming an Orvis Endorsed Wingshooting Guide for over 6 years. It became very evident that the Double Gun brand was much more than a single guide, growing to a point where becoming an Endorsed Outfitter was a much better description of what Steve and Double Gun offered. As the reputation of Steve and the Double Gun brand has evolved, the Lodge has provided many hunters and guides with an experience worth repeating. And for Steve's son, Travis, the Lodge is his greatest passion. For those reasons, Travis is now taking an active role in creating the vision for the future of the Lodge, building on the strong foundation that has been built over the past thirty years. With a focus on the Grouse and Woodcock hunts, Steve & Travis have made the decision to consolidate Double Gun Bird Hunts brand and Little Moran Grouse Lodge into The Grouse Lodge at Little Moran, beginning in 2018. The reputation of The Grouse Lodge at Little Moran has become legendary earned by Steve, guides and staff, which stands by itself. "Wild Birds….in Wild Places".. is the mantra, emphasizing the great dogs and who Steve is, as well as Travis. "There is nothing more beautiful than to watch a great dog weave through a grouse cover or sweep the prairie, this is a time-honored sport, rich with tradition and spirit." Over the years, Steve has come to truly appreciate the beauty of nature and all that it offers. He has captured many special moments through the years, of the dogs in the field, beautiful sunrises and sunsets, and the many aspects of nature, from wild horses, woodcock, to rainbows. Feel free to browse through Steve's selection of favorite photos .